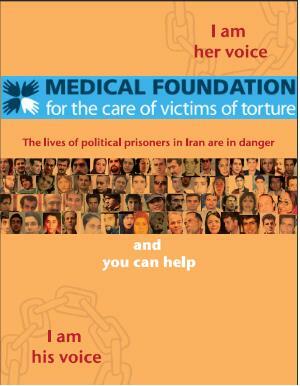 In addition to maintaining our own campaigns for political prisoners in Iran, Mission Free Iran supports the Campaign to Free Political Prisoners in Iran’s Be Her Voice! Be His Voice! Campaign. About two weeks beginning violent protests of people in Sulaimaniyah passes. Also during this week the disturbances spread to other cities in the province and still continues to destabilize the atmosphere and inflammation. Public protests against corruption and the heads of state of main ruling parties gradually became more serious and deeper. Speaking of great dissatisfaction and severe corruption of government agencies, non-proper distribution of wealth and resources of Regional Government, and blaming inefficiency involved authorities regarding public service. Often near dusk and darkness began to air tensions and violence lead to conflict. Killed seven people and injured twenty-five hundred citizens roam (according to news agencies of Kurdistan) was the only result of this abnormal situation and still certain result from meetings, mediation, and given promise has not been achieved. The unrest situation in the chaos impacted of Iranian asylum seeker life in Kurdish. So that early last week; flood of arrests in both the main city of Sulaimaniyah and Erbil that began. fifteen deportation unspecified number of arrests has been reflected in Kurdish media and News . Many have been arrested for short periods of time, but the conditions and the number of detainees is not available exactly. In Sulaimaniyah, Iranians asylum seeker residing in the city center and especially those in the inn and hotels were arrested by security police “ASAYESH”. They have been asked for personal information. Their mobile phones and notebook lap-tops seized without giving any explanation or reason and they were taken to the Central Bureau.IN there, Detainees have been faced agents bad deal and insults. ASAYESH menaced Iranian asylum seekers to participate in mass rallies and protests then threatened them to hand out and deported to Iran. some asylum seekers were deported meanwhile they have been living in Iraqi Kurdistan for years that had UNHCR document and some that belongs to Iranian oppositions parties. Most of them have political and security problems in Iran and if be deported they face judiciary and intelligence of the Islamic Republic. It is important to say that the opposition and parties in Iraqi Kurdistan accuse eachother of dependence to Islamic Republic. They claim that the Iranian Guards (Sepah pasdaran) behind the unrest and these protests. A responsible official of Ranya city , has called of two terrorist coming from Iran. A campaign entitled “No to deportation” is set up to protect asylum seekers and prevent the deportation that available information is not much about it. Campaign’s Supervisor is an Iraqi (Soleimaniya) citizen and his name is Azad Ahmad. It should be mentioned that eleven asylum seekers did not interview with me that shows they are threatened. Even the interviewed ones did not use their names or used alias. Thank you, dear Farzad, for this important article. We have sent you an email – please let me know if you receive it. The mail is from maria.rohaly@gmail.com.